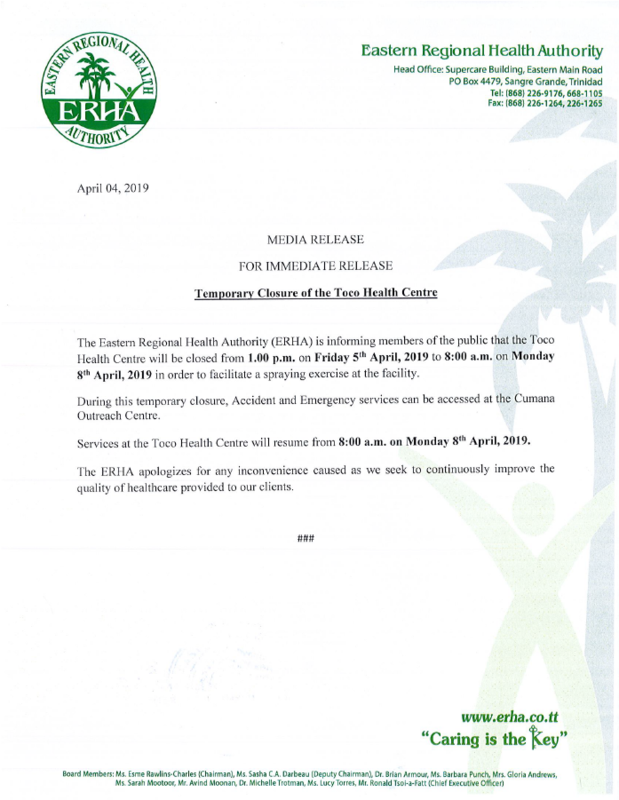 The Eastern Regional Health Authority (ERHA) is informing members of the public that the Toco Health Centre will be closed from 1.00 p.m. on Friday 5th April, 2019 to 8:00 a.m. on Monday 8th April, 2019 in order to facilitate a spraying exercise at the facility. During this temporary closure, Accident and Emergency services can be accessed at the Cumana Outreach Centre. 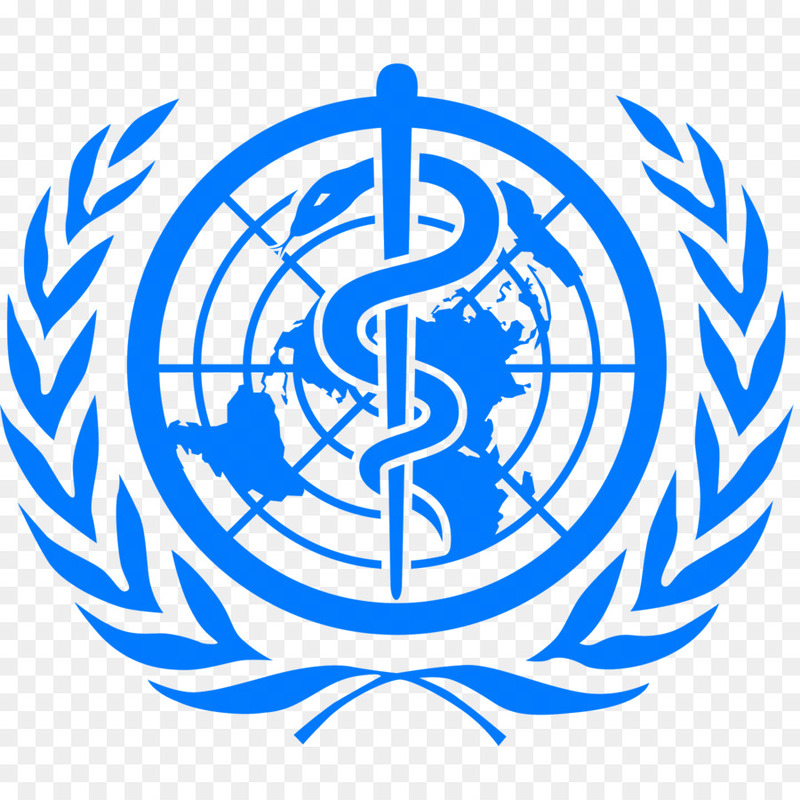 Services at the Toco Health Centre will resume from 8:00 a.m. on Monday 8th April, 2019. The ERHA apologizes for any inconvenience caused as we seek to continuously improve the quality of healthcare provided to our clients.